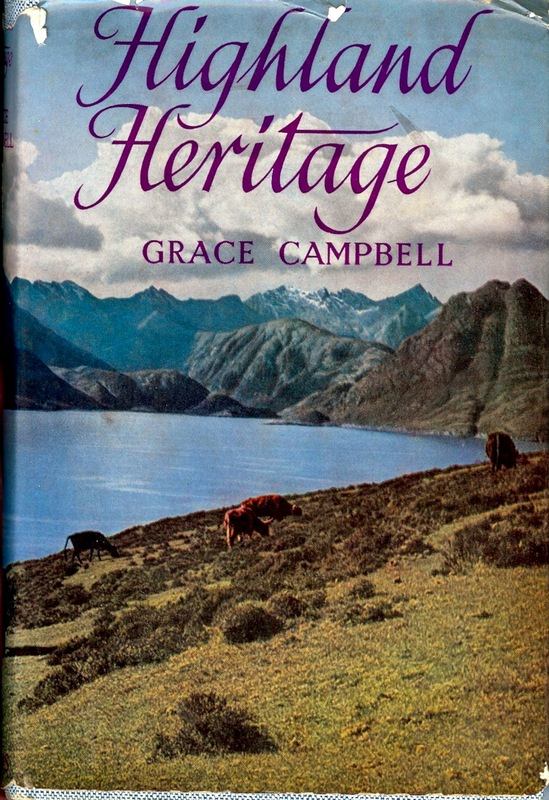 Interested in a Free copy of one of Grace Campbells books? With a purchase of $85.00 or over shipping included our titles, you have a choice of 1 of the following with no extra shipping. At present only 1 copy of each available. 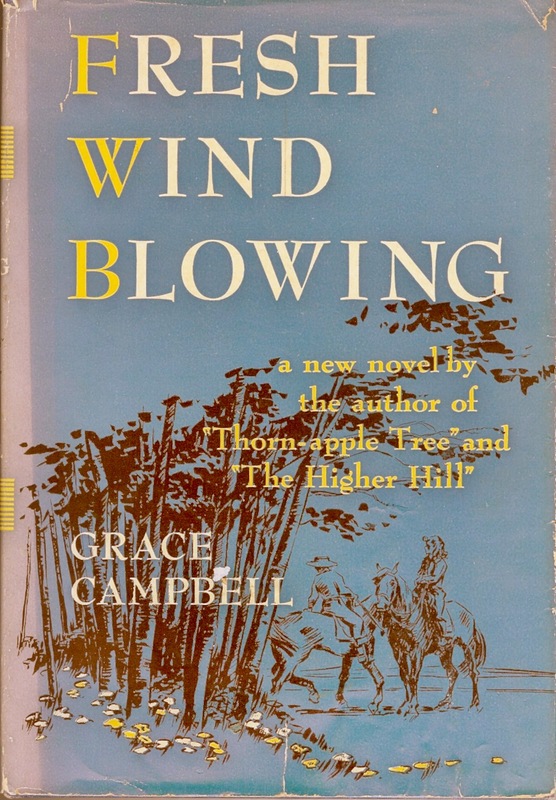 Grace Campbell was born Grace MacLennan Grant Campbell near Williamstown in Glengarry Glengarry, of Highland and Loyalist ancestry, on the farm which is the scene of Thorn-Apple Tree. The farm a United Empire Loyalist grant from King George 111 to John grant, her great-grandfather, has been in continuous possession of the family since 1784. 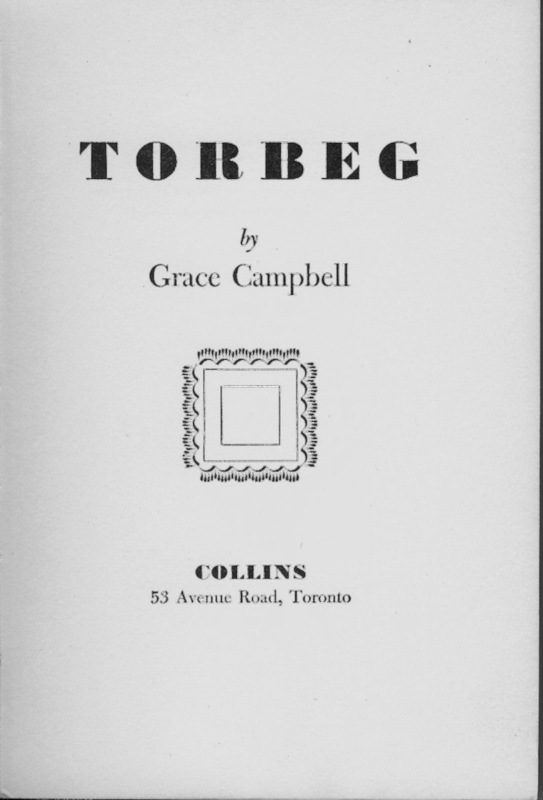 She was educated at local schools, entering Queen's University with the MacLennan Glengarry scholarship from Williamstown High School. On her graduation in 1915 she obtained the gold medal in English Literature. In 1919 she married Rev. Harvey Campbell. Rev H B Campbell Since then she has lived in Saskatchewan, Ontario, Northern Quebec and Montreal. Her home is now in Regina where her husband has been minister of Knox Church since 1938. They have three sons -- the older two, twins of nineteen, are in the R.C.A.F. 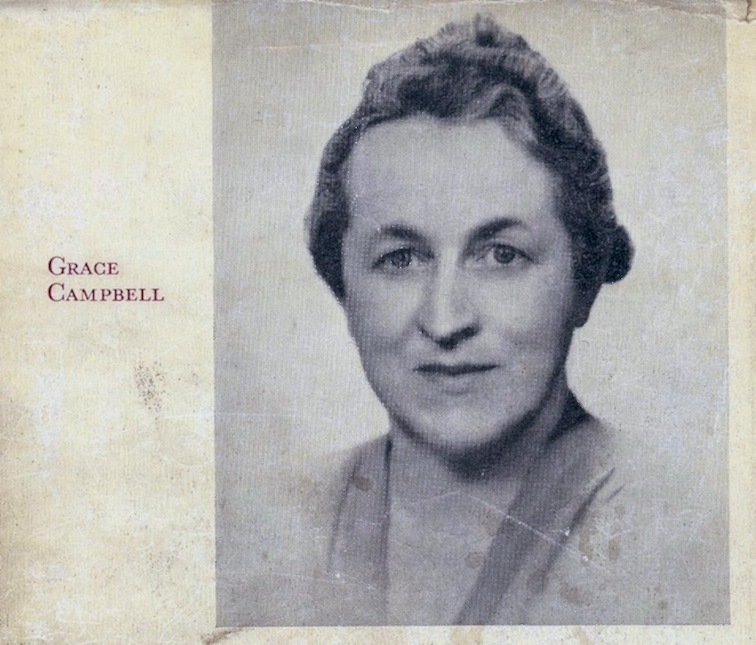 Mrs. Campbell, who has spoken to many audiences, is a member of the Provincial Girls' Work Board, the University Womens' Club, the Women's Canadian Club, the Canadian Authors; Association, the arts and Letters Division of the Council of Women, The Saskatchewan Historical Society, and various organizations connected with the church. Many of her short stories have been published in Canada, the United States and Great Britain, a few having been translated in the Danish. 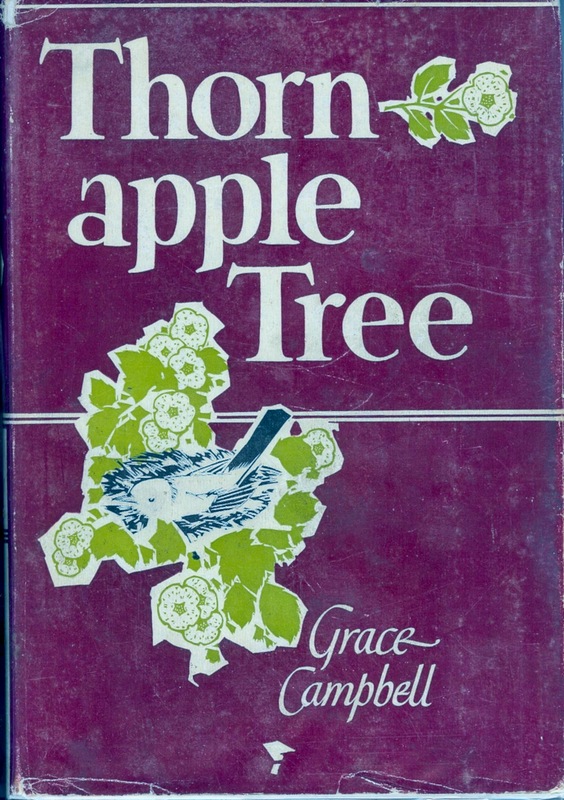 Thorn-Apple Tree is her first novel. 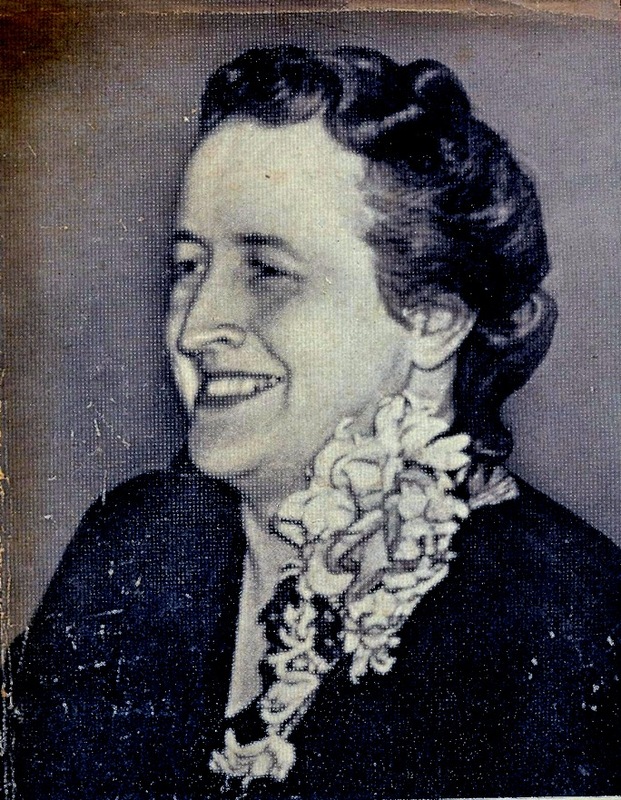 The above is from the dust jacket of Thorn-Apple Tree which also has a photo of her. 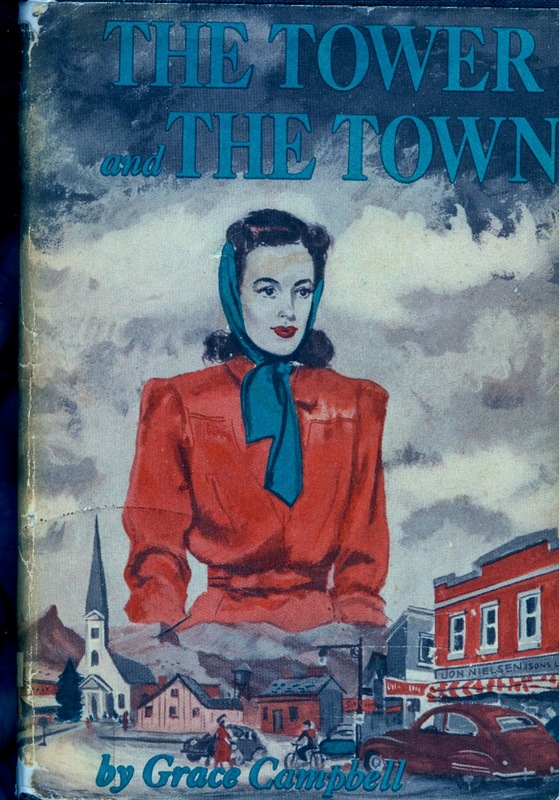 The Tower and the Town1950, hc., 342 pages, with dust jacket, special edition by People's Book Club, Chicago, Illinois. 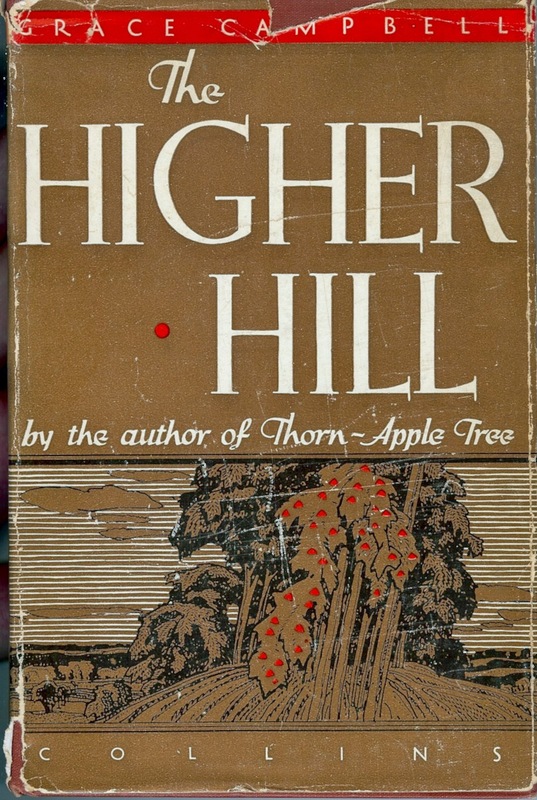 Originally published by Duell, Sloan & Pearce, Inc.
Highland Heritage1962,256p, hc, with dust jacket, first printing 1962 printed in Great Britain by Collins Clear-Type Press, reprinted 1967 with some illustrations. Should the viewer be interested in obtaining any of the above, check for availability with 2nd hand book stores, or contact us Contact Alex W. Fraser as we might have an extra copy for sale. With a purchase of $100.00 or over shipping included our titles, you have a choice of 1 of the following with no extra shipping. At present only 1 copy of each available.